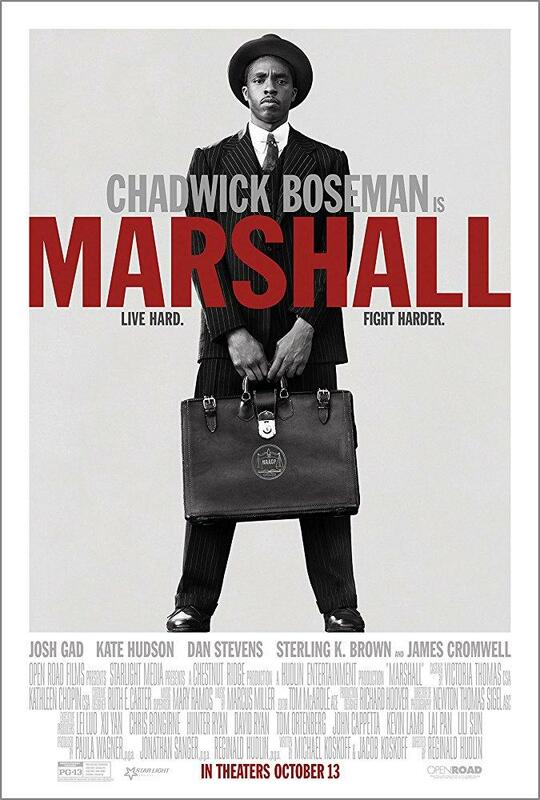 Marshall is a powerful film about a Bridgeport, Connecticut, civil rights case in 1941 that was pivotal in the life and career of Thurgood Marshall, who in 1967 become the first African-American to be appointed to the United States Supreme Court. Director Reginald Hudlin handles the controversial material with care, emphasizing the human drama as well as the importance of the case in Marshall's career and in the Civil Rights movement. Chadwick Boseman is in the lead role of Thurgood Marshall. Paul Willistein of the Lehigh Valley Press reviews the Biography/Drama.